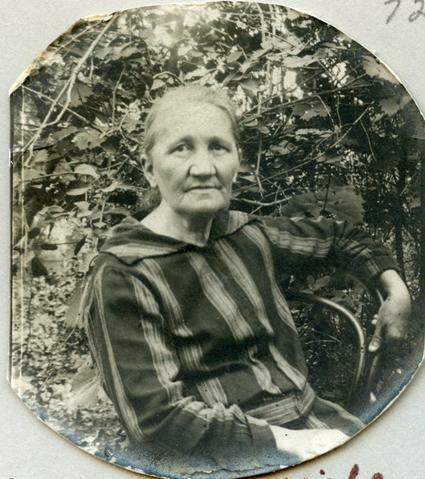 This is a photo of Anganeta Wiebe (Klassen) sitting on a chair, in a garden. This photo was previously published in "Mennonite Historian", Volume44, No. 3 -September 2018, page 2.